Fried Rice | Get In The Kitchen | Cooking. While. Awesome. Prepare the jasmine rice and refrigerate for at least an hour. 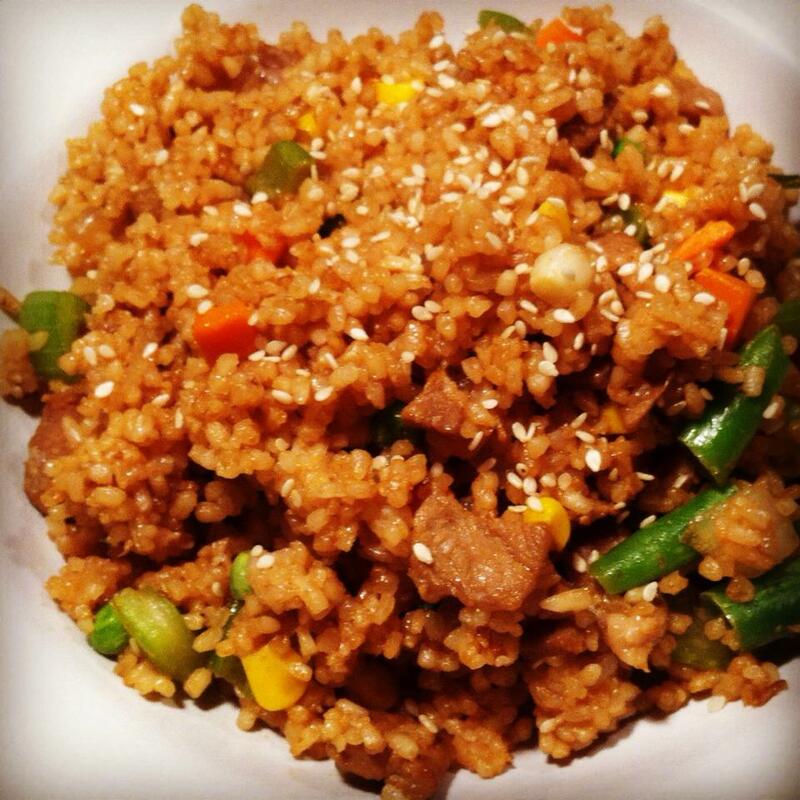 If you have leftover rice, it works great in this recipe as well. In a deep frying pan or wok, sauté onions and garlic in sesame oil on medium/ medium-high heat for about a minute until onions become translucent. Add rice, soy sauce, rice vinegar and oyster sauce and sauté for another 5 minutes. Make a hole in the middle of the pan (like a rice volcano) and place the beaten egg in the center. Let the egg sit until it is solid and cooked through (about 2 minutes). Mix the rice and egg so the egg is mixed thoroughly. Add the vegetables and mix thoroughly and let cook for another 2 minutes until the peas become bright green. Sprinkle sesame seeds on top and serve.